Dr. Dhirendra Nath Borthakur, an eminent Plant Breeder from the North-East joined as Vice-Chancellor, Assam Agricultural University, Jorhat on March 31, 1979 and continued in the office till October 26, 1980. 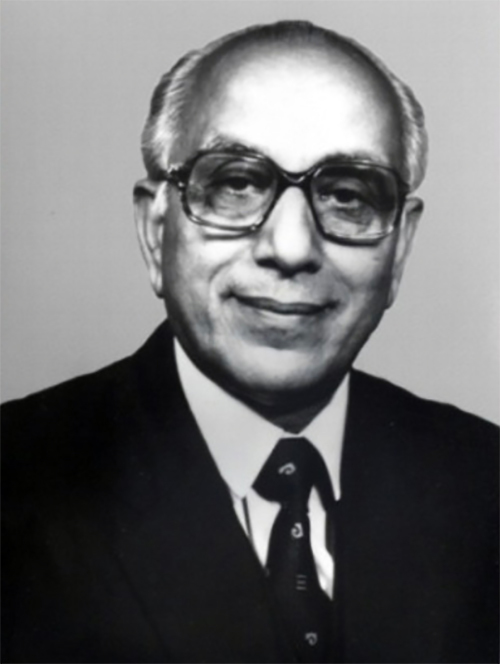 Dr. Borthakur obtained his Master’s degree in Botany from the Gauhati University, Assam (1950) and Ph.D. in Plant Breeding and Genetics from the University of Missouri, USA in 1963. Starting his professional career as Assistant Mycologist in Tocklai Tea Experimental Station, Jorhat, Assam (March 1951 to June, 1952). Dr. Borthakur subsequently served as Lecturer and then Professor in Assam Agricultural College (Now College of Agriculture, Jorhat); Government of Assam (June, 1952 to October, 1963); Rice Specialist, Government of Assam (Oct. 1963 to August, 1969); Director of Research, Assam Agricultural University, Jorhat (September 1969 to December, 1974) and Director, ICAR Research Complex for NEH Region, Borapani, Shillong (January 1975 to March, 1979) before he took over the charge of the Vice-Chancellor, Assam Agricultural University, Jorhat. During the tenure of his various official assignments, Dr. Borthakur also served as member of more than 18 numbers of important state and national bodies/committees. He visited many countries of the world such as the USA, Japan, Philippines, Taiwan, Nepal and Bhutan etc. in connection with the study of research and development in general and rice research development in particular in these countries. He authored 2 books, more than 38 research papers and over 45 popular scientific/semi technical articles so far. Assam’s Agriculture (including present Meghalaya) greatly owes to this eminent scholar/administrator. Dr. Borthakur was instrumental in the development and release of several rice varieties and their technology for adoption under different rice growing situations of Assam (including Meghalaya); development of alternative system of farming to replace jhuming (shifting cultivation); proper shaping of Rice Research Section, Government of Assam; Directorate of Research, Assam Agricultural University, Jorhat and the ICAR Research Complex for NEH Region, Shillong etc.